Guests celebrated the 25th anniversary of Bella Luna & The Milky Way Lounge Sunday night. 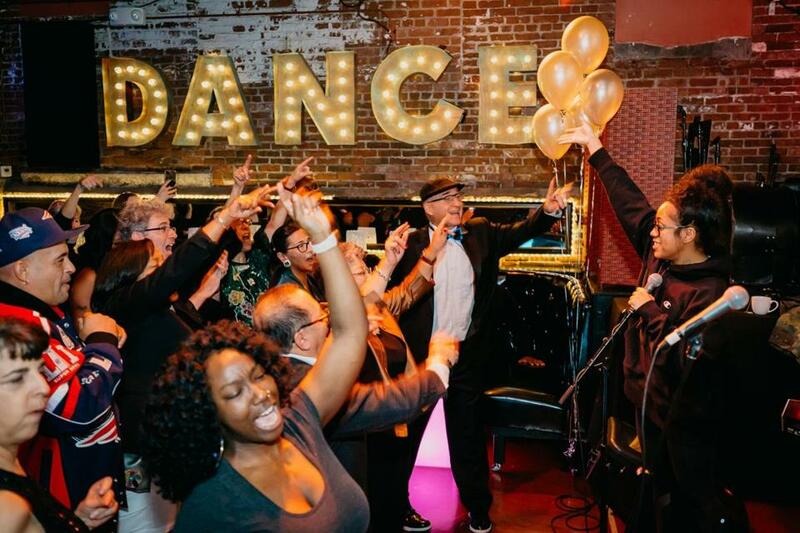 A Jamaica Plain institution celebrated a quarter century in business with a special bash over the weekend. Owners and guests at Bella Luna & The Milky Way toasted 25 years (split between two JP locations) with pizza, mac & cheese, and music from Alonzo Demetrius and the Ego. In the process, they also raised money for the Hyde Square Youth Task Force. 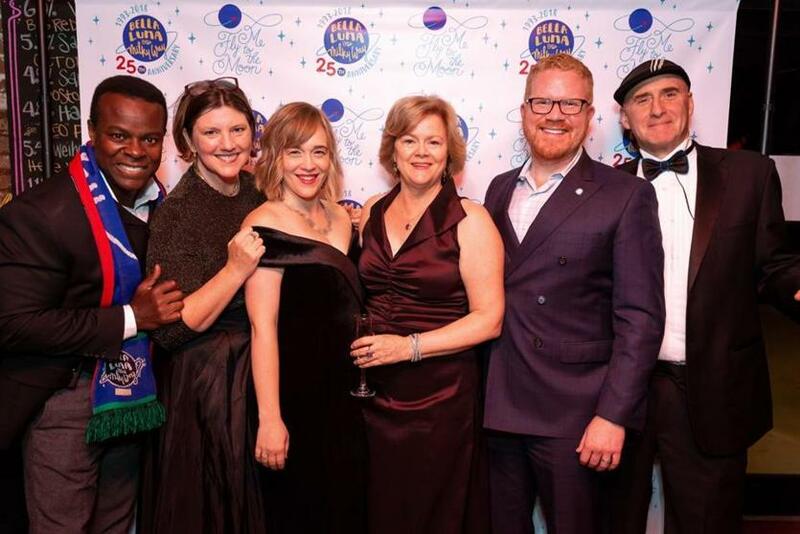 Pictured left to right: Bella Luna cofounder Pierre Apollon, cofounder/owner Carol Downs, co-owner Megan Mainzer, cofounder Kathie Mainzer, City Councilor Matt O’Malley, and cofounder Charlie Rose. Among those on the guest list were Boston City Councillor Matt O’Malley; Meritage chef Daniel Bruce; City Year founders Alan Khazei and Michael Brown; Chief of Housing and Director of Neighborhood Development Sheila Dillon; former state representative Marie St. Fleur; and Massachusetts Advocates for Children’s Hubie Jones.